YouTube has a positively massive audience, but it’s difficult to convert into website viewers for one simple reason; most YouTube users don’t want to leave YouTube. On Facebook, on Twitter, on the web, the expected behavior is to use your favorite site as a base and click links to see other content that interests you. YouTube, however, has spent an immense amount of time on ways to keep you on the site. All of the various related videos, suggested videos, autoplays, and playlists lead users to chain watching one video after another. Getting them to leave this cycle and jump to your site is tricky. There are two broad categories of tips I’ve compiled here: Links and CTAs, and Content and Distribution. For the Links and CTAs section, I’ve compiled tips about where to place links to your website and where to introduce calls to action into your video and surrounding content. For the Content and Distribution section, I’ve compiled tips for the content of your videos, as well as ways you can distribute those videos to gain more viewership, which means more exposure to your CTAs, and thus more clicks through to your site. First, let’s talk about your call to action. Generally, it’s going to be a success just getting someone to click through to your website from your videos, so your CTA should be as broad as possible, particularly early on. Once you’ve grown as a channel and gained a larger viewership, then you can start using narrower, more targeted CTAs for individual videos or types of content. Generally, your CTA is just going to be something like “to learn more click the link below” or another simple instruction. It’s easy, it’s quick, and it reminds interested people to do so. So where do you put the links? You can’t put a link in the title of your video, the SEO would be atrocious and it wouldn’t be a link anyways. You can’t put a link in keywords either, but you can put links in the description. Generally, your description will be loaded with links, but most of them will be cut off behind the “read more” expanded description. One link should be “above the fold” so to speak, and it should be your most important link. Other links can actually be in your videos themselves. One common technique is putting links in annotations in the finale section of the video, or even directly in the section of the video where you mention clicking the link. In order to use in-video links, your account needs to be verified. You will need to verify your site is associated with your YouTube account, though, which means you can only link to sites you own. In the video manager, you can click to edit a video and click the annotations section. You will have to click at the top to enable external annotation links, which involves agreeing to a set of terms and conditions, mostly just making sure your links aren’t malicious or against Google policies, and outlining the punishment if they are. Then you click “add annotation” and add in a URL for that annotation. 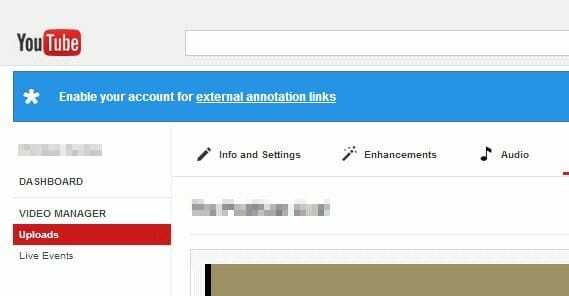 Once a particular annotation has been added, it rests in a library of sorts, and you can select it later without having to create a new link. Add in the annotation link, position it in the video in the right time, and it’s good to go. There’s one more location for links, and that’s in your channel profile page. On your channel page, when you hover over your cover photo, a pen icon appears. Click it, and one of the options is “edit links.” You can put links in your description for your channel page, but you can also put them as buttons on top of your channel art. Up to five links can be displayed here. You can also customize what the button says, with a call to action. There is, technically, one more link you can place on YouTube, but it’s not necessarily on your videos, or even on your channel. When you buy ads on YouTube, some of those ads can appear on videos or as commercials before videos, depending on the kind of ad you buy. However, these are of course paid ads, and as such should have a post of their own discussing it, rather than just a paragraph or two here. Remember to set up all of the general links throughout your channel page, and then set up links individually for each video depending on the video content and what destination pages should be promoted. First up, let’s talk content ideas. Here are some ideas you can use to create videos, which will hopefully attract viewers. Interviews or discussions at events. Any time you’re at a public event or socializing with someone else in your industry, you can pull up a few questions or have a discussion on camera, or even on a mic, and call it an interview. You can post these even just audio-only and have a great source of content exclusive to your channel. Video blogs. Depending on your industry and the size of your business, it might be perfectly viable to keep a semi-personal vlog on your main channel. You don’t want it to be too personal, but you can become a public face and spokesman for your brand. Consider it in the same light you would consider writing editorials for a newspaper. Tutorials and demonstrations. Tutorials and product demonstrations are some of the best evergreen content on YouTube for brands. As long as the product or software you’re covering exists, people will be encountering issues with it, and they will find your videos to help them solve those issues. Adapted content. You can take content from other sources in your marketing and adapt it into video. Blog posts can be summarized and read in video form, or expanded upon in crucial points, with links back to the original posts. 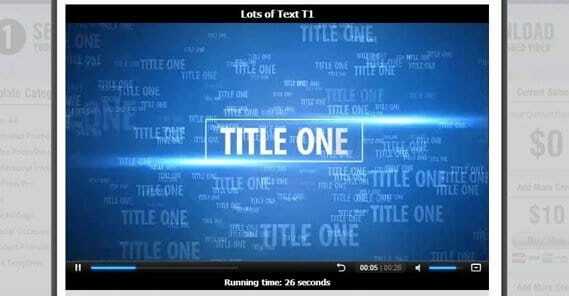 Podcasts can be posted with supplemental images or even subtitles. Slidedecks or PowerPoint presentations can be animated with a voiceover. You can even take infographics and animate moving from section to section, turning it into a quick, informative video with viral potential. Post your video everywhere. Anywhere you can work in a link to a video, do it! Post it on social media, cite it as a source in your guest posts, and embed them in your blog posts as often as possible. I don’t recommend more than one video per post, but one per post should be fine. Promote your video on social media. Social signals are harder to directly measure with YouTube than with a blog post, and you don’t have the luxury of social sharing buttons configured how you like, but you still help your channel by pushing social media exposure. You can also link to your social profiles in any of the link locations, to maximize cross-platform traffic flow. Just be cautious about purchasing engagement. Make sure your videos all look and sound great. One of the hardest parts of YouTube marketing is getting attention to your videos and getting your channel off the ground. The first 100, 500, and 1,000 subscribers are by far the hardest. It’s even harder if your video quality is low, your audio is poor, or you just aren’t putting effort into it. Consider purchasing a professional intro. Believe it or not, Fiverr is one of the best places for a moderately professional, short, animated intro for all of your videos. You can find sellers who will take your logo and brand name and turn it into an animated intro you can staple to the front of all of your videos, for a universal branding that can’t be overstated. Don’t be afraid to scrap footage and re-shoot elements if they don’t come out right. High quality video takes time, and it often takes work. If you flub a line, don’t barrel on and try to leave it, cut and fix it. Jump cuts are extremely common so as to be nearly unnoticeable unless they’re overused. Just look at the VlogBros for an example of frequent cuts that work. Create a series. Better yet, create several. All the best content on YouTube is part of a series. Bands publish each song on their album in order in a playlist. Comedians publish their acts in sequence. Moz has their Whiteboard Friday video series. Every series you do is a series that can gain fans and can grow your brand. If you can pull off regular interviews or podcast, regular animated infographics, or anything else, tying it together into a series makes branding a lot easier and naturally helps people flow from one video into the next. One note about this, I know I mentioned that it’s a bad thing that YouTube keeps people on the site as much as they do, but it’s also a good thing for you. 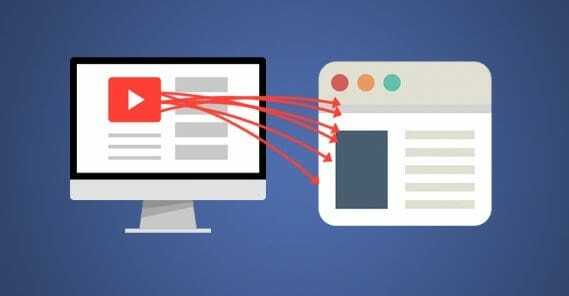 After all, the more videos of yours a user watches, the more of your links and CTAs they will be exposed to. They’ll be more likely to rate your videos, to follow your channel, and to click your links. Plus, when they view more of your videos, even more of your videos will show up as recommended for them. Don’t worry too much about length. I know a lot of people recommend keeping your videos around two minutes in length, but honestly, I’ve seen videos do extremely well at all length levels. Entire movies are posted and do great, while Vine was an excellent service and has an enduring legacy online. Take as long as you need for the content you’re covering, but try to cut out any extraneous coverage that isn’t really necessary and might bore your viewers. Conversely, pay more attention to timing. There are two ways in which timing matters. First, the date and time you post your video will matter. People have varying usage habits with YouTube the same way they do any other social network. Figure out when your audience is most active, and schedule your videos to go live when they’re active and around. One of the best suites of analytics for YouTube outside of Google Analytics is TubeBuddy, and one of the things they tell you is when the best time to post your videos is based on the performance of other videos on your channel. TubeBuddy is great for a wide range of channels, and even their most expensive unlimited plan is only $40 per month. The other way in which timing matters is consistency, particularly when you’re doing a video series. Think of it like television; people like to know when their shows air, and if you can consistently provide value at given times of day each week, people will form a habit of watching your content on a regular basis. That kind of dedication cannot be overstated in terms of value. Don’t forget to ask for engagement. There’s more to YouTube than the links you’re trying to get people to click. Rating your video up is very useful to its visibility, and comments are always great for discussion. It’s even better if you can ask them an open-ended question and get them to respond in the comments; you can take their information and spin it into another video later, or use it to adapt what you’re doing to better fit your audience. Finally, don’t forget all the aspects of SEO. There’s a lot of opportunity for using keywords, both in the actual keywords field for both your video and your channel, and for natural use in the description and title of your videos. Take advantage of these as much as possible, avoid seeming spammy, and you’ll come out on top of the video search results. Surprisingly few people understand how keywords work, and YouTube users aren’t the best with SEO. You’re already in the top ten percent.